Nainital Tour Package from Delhi comprises of 3 Nights / 4 Days itinerary allowing the visitors to marvel at the scenic views of the Himalayas. It also offers a chance to explore famous viewpoints, Land’s End, beautiful lakes, Tiffin Top and Snow viewpoint. Nainital is known for its iconic pear-shaped lake along with other placid lakes that offer spectacular views of the lush green valleys. Boating on these lakes is a reviving experience because of the serenity that prevails here. Bird watching is another popular activity here. Avail honeymoon and family packages for Nainital and get ready for a short break to this lovely hill town. Your Delhi to Nainital tour starts today. Board your Delhi to Nainital Volvo that takes you to the hill town comfortably. On reaching, check in at your hotel. The rest of the day is to be spent leisurely. 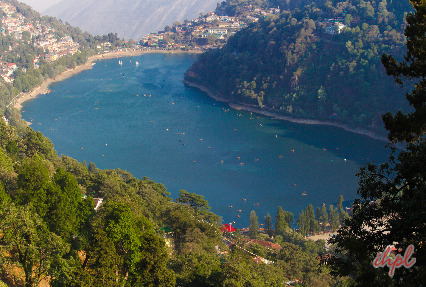 Nainital hill station, with its serene lakes and scenic beauty allures tourists from different parts across the globe. The popular hill-station of India is set at an altitude of 2084 meters above sea level. Other than boating on its placid lakes, tourists visit here for wildlife tours and for bird-watching. There are many popular viewpoints in Nainital that are renowned for providing a picturesque panorama of the valley. On this day, freshen up and proceed for Nainital Lake tour, which includes an outing to Naini Lake, Sattal, Bhimtal and Naukuchiatal. A major highlight of the Nainital honeymoon package, the memorable sojourn helps you cherish delightful moments. The timeless beauty of these lakes will make you fall in love all over again. Bounded by attractive seven hills, the Naini Lake is a favorite hot spot. Featuring a peaceful vibe, Bhimtal allows visitors to indulge in a number of activities. Furthermore, Naukuchiatal Lake is a scenic wonder with 9 corners. A unique group of 7 freshwater lakes, Sattal exudes an ethereal charm. 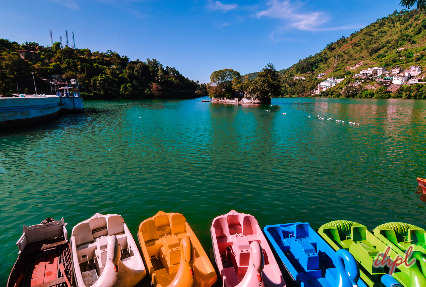 Return to the hotel after boating on Naukuchiatal, Sattal, Bhimtal and Naini Lake which is an essential part of your Nainital tour package for the family. Today, you will be exploring the best places to visit in Nainital. The first attraction of the day is Land’s End. Tucked beautifully between pine forests and attractive village, the place offers breathtaking views of the Khurpa Tal and the plains. 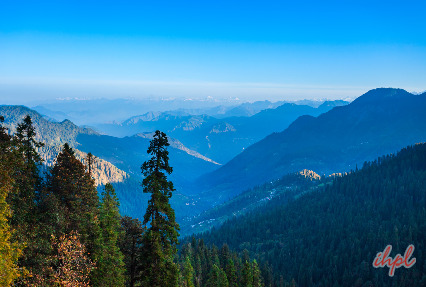 The route leading to this wonderful destination takes you through woods of pine, deodar and oak. If you do not want to walk, you can hire a pony. Thereafter, proceed to the famous viewpoint Tiffin Top (aka Dorothy’s Seat), located at an altitude of 2292 m. Counted as the second highest peak in Nainital, the place is a haven for photographers and painters. One can cherish an excellent view of the Himalayas from here. Snow Viewpoint is another popular attraction covered during Nainital sightseeing. 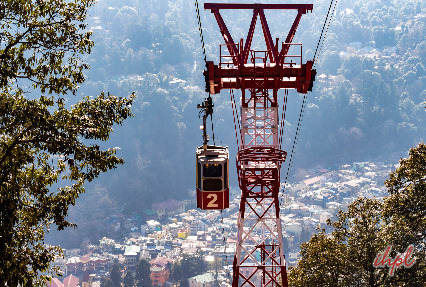 A rope ride to reach this destination raises the fun quotient. Later on, shop at the famous Bhotia markets. The evening is at your leisure. Your Nainital trip ends today. On this day, check out from the hotel and travel back to Delhi, by road. Get a timely transfer to the airport or railway station to continue your onward journey. This marks the end of your Nainital Tour Package from Delhi.